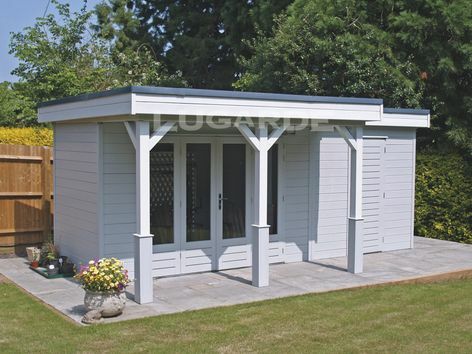 The Lugarde Prima Chloe is an attractive summerhouse and storage shed with a canopy to the front of the summerhouse side. Thre pine posts with decorative bases and the large 4 panel door make a lovely focal entrance point. 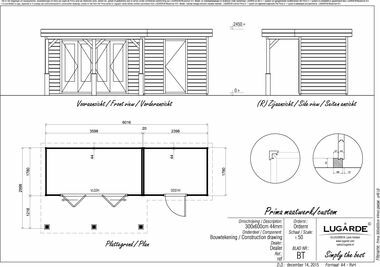 Overall summerhouse size 6m x 3m in 44 mm log thickness. The standard package includes 1 x VL02H 4 panel door and 1 x DD01H single solid door.